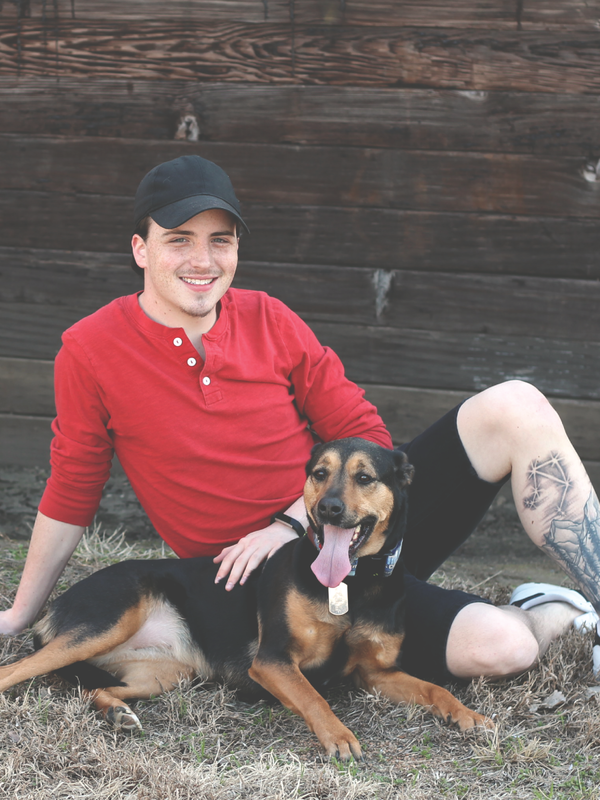 Patrick is an avid golfer, guitar player, and dog lover. 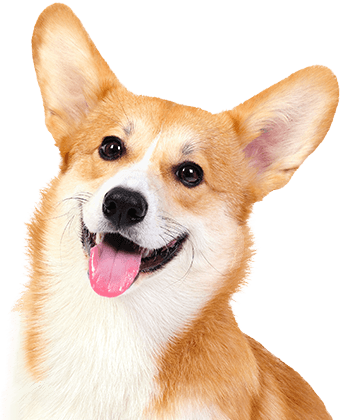 He is also our owner! 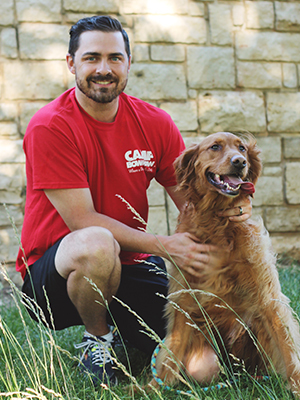 A longtime customer, he decided in 2016 that it was time to bring Camp Bow Wow to the KC Metro area. So he left his day job and started work on the Westport Camp! Previously, Patrick had worked in executive and management roles in both corporate and small business settings. He is a graduate of Belmont University with a BA in Organizational and Corporate Communications. Patrick is also on the Board of Directors of two Kansas City based charities. His main interest is spending time with his family: his daughter Milena son James, his wife Brianne, his dogs Lyla (Golden Retriever) and Bowie (German Spitz), and his two cats Buddha and Phoenix. Jeff has been a Kansas City native since birth. He has always been passionate about animals! Raised by his animal-loving mother, he grew up alongside all kinds of animals - from snakes and lizards, to chickens, and even a pig named Peppa. Jeff plans to become an expert in animal education and conservation, and travel the globe teaching people of all ages about exotic wildlife and preserving our natural world. Jeff rescued his dog, Ana Leigh, when he was a freshman in high school. When asked about their bond he said "I don't like to say I own her, we're just best buds!". Jordyn is a proud midwesterner, coffee addict, and dog enthusiast. As Camp Director, she is focused on building an all-star team, dedicated to maintaining the health, safety, and happiness of all dogs at Camp. 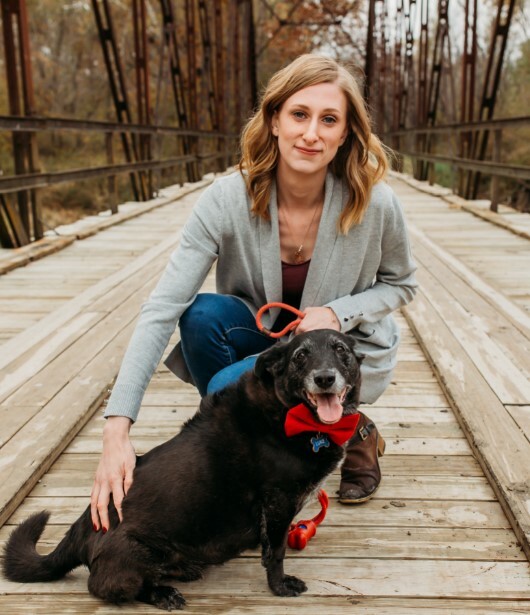 Her fur-baby, Luke Skywalker, is a 9-year-old Basset/Lab Mix and Jedi Master. His likes are hikes, lightsabers, and naps. But he also dislikes Tupperware and the Sith. Prior to joining the pack, Jordyn worked as a Project Coordinator for GPS Impact. She graduated from the University of Missouri on 2014 with a Bachelors of Arts degree in Psychology and Sociology. She has been a proud resident of Kansas City since 2016! From the South-Central location of Kansas near Wichita, Brittany has always been a huge fan of Kansas City. 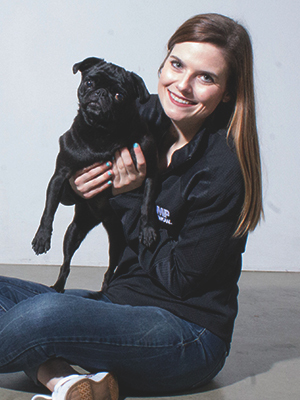 She loves her small, but mighty fur-baby, Aspen The Promo Pug at her side! Brittany has always loved dogs; ironically, her first job was pet sitting. Brittany is a craft brewery beer venturer, self-taught graphic designer, music festival lover, sports fanatic, and has an affinity for pun-worthy things in life. Before Camp Bow Wow, Brittany worked as a graphic designer for a printing company in South Kansas City. While earning her BS in Strategic Communications at the University of Kansas in 2015; she has worked in various roles expanding and honing her marketing skills.